William P. Grogan serves as an ethics consultant and works with the medical malpractice and health care attorneys of Hinshaw & Culbertson LLP to help the firm's healthcare clients resolve clinical, organizational (e.g. Community Benefit Tracking and Reporting Software (CBISA), human resources, government relations) and transactional (e.g. joint ventures, mergers for nonprofit organizations) matters. He also consults on major healthcare mergers and acquisitions. 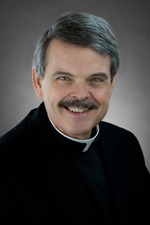 Father Grogan is a member of the Ethics Committees of several hospitals in the Midwest. In addition to practicing law, he lectures on bioethics at Loyola University of Chicago.